There are many types of galaxies such as spiral, lenticular, elliptical and irregular. Elliptical galaxies form through galactic collisions . We have found evidence of this by actually observing two galaxies collide. NGC 3597 (image below) is an image of two galaxies that are colliding to form an elliptical galaxy. 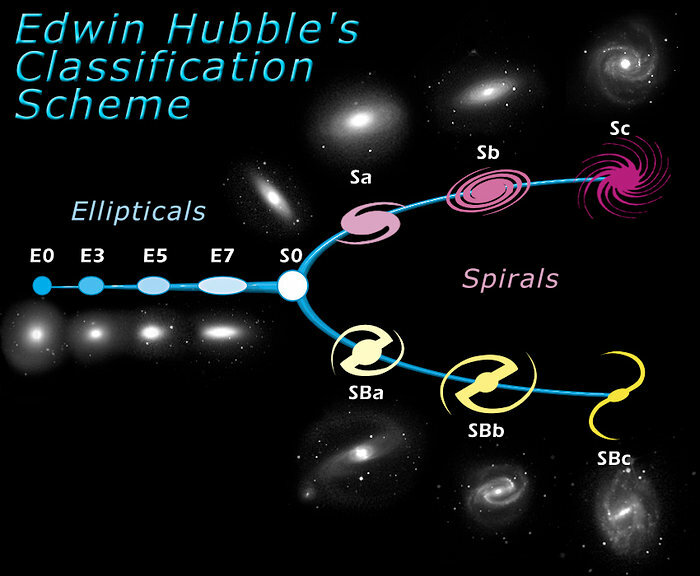 Edwin Hubble predicted that Elliptical galaxies evolve into Spiral galaxies, but this was proven wrong because stars found in Elliptical galaxies were found to be much older. 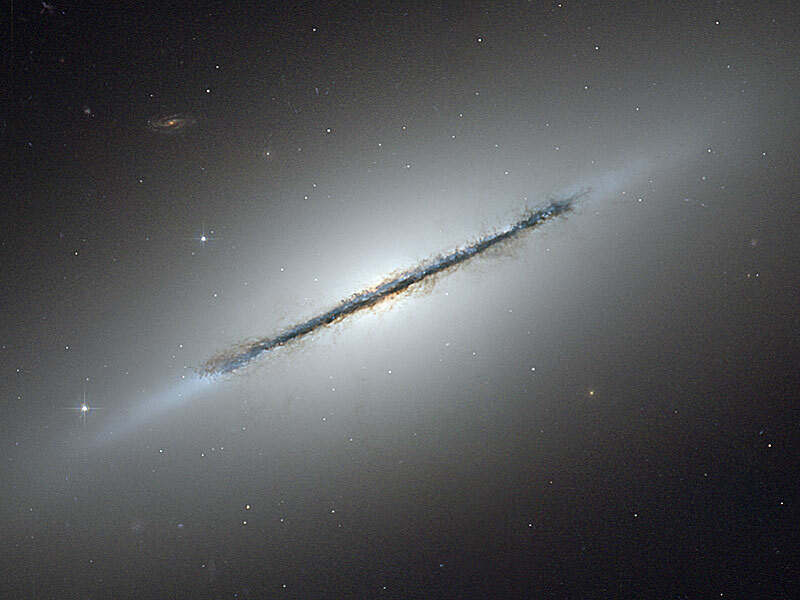 Elliptical galaxies contain between 10 million to 100 trillion stars. The largest known galaxy is actually an elliptical galaxy known as IC 1101. This behemoth contains nearly 100 trillion stars. Elliptical galaxies mostly contain metal-rich stars that appear orange and red in colour. There is nearly no interstellar medium. and thus very little star formation. They also may also harbour enormous super-massive blackholes which may range from a million to several billion solar masses. Many Globular Clusters orbit the centres of elliptical galaxies. These galaxies tend to be spherical or ovoid and have diameters ranging from 30,000 light years to more than 700,000 light years. Spiral galaxies have many theories predicting how they were formed ranging from the collisions of smaller galaxies to the collapse of individual gas clouds early in the history of the Universe. 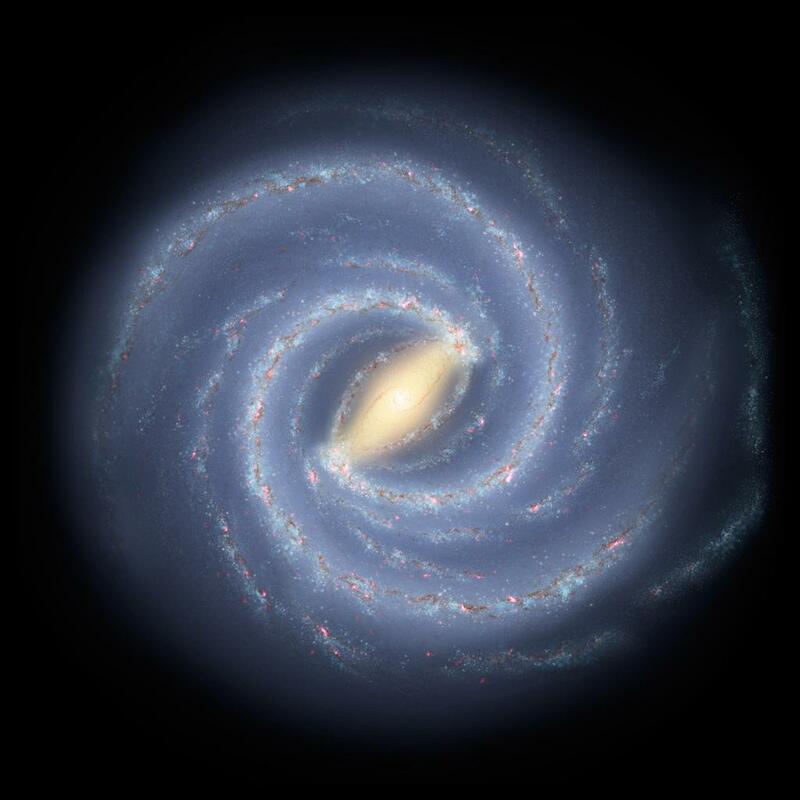 Our own galaxy The Milky Way is a Spiral galaxy. Our Sun is located a third of the way down of one of the Milky Way's arms. However, we still do not know what it looks like as we are not facing it from the front but rather from the side. Here's an artist's rendition of the Milky Way. Spiral Galaxies contain young blue stars that are hot and short-lived they are found in the spiral arms. Older stars such as Red Giants are located in the Bulge (the yellow part in the centre). Spiral Galaxies have a large amount of interstellar medium. Spiral galaxies also have Globular clusters which orbit the centre. The Super-massive blackholes of these galaxies are mid-range and have between 1 million to several million solar masses. Spiral galaxies are rotating flat discs of star, dust and gases, they also have a distinct spiral with a nuclear bulge at its centre and spiral arms which emanate of the bulge. In diameter, spirals range from about 10,000 to over 300,000 light-years. Lenticular galaxies are a hybrid between spiral and elliptical galaxies. 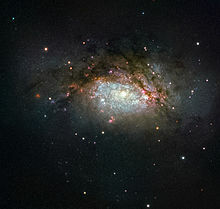 They are formed when Spiral galaxies exhaust their supply of gases needed for star formation. They are deficient in the interstellar matter such as gas but lenticular galaxies may retain a considerable amount of dust in their disk. Here's an image of one. They also have a shape nearly identical to spiral galaxies. They appear like pale discs of old stars that have faint spiral arms. The diameter ranges from 10,000 light years to 300,000 light years and over. Irregular Galaxies have a very chaotic structure and have no distinguishable features. They are 20,000 light years in diameter on average. They may have Super-massive blackholes that are mid-range. Astronomers classify these galaxies using the Hubble Tuning fork diagram. Here is what it looks like. Galaxies are the most important building blocks of the universe. Some are simple, while most are extremely complex both in composition and in structure. Edwin Hubble an American Scientist decided to classify galaxies. He created the Hubble Tuning fork diagram in 1926. Ellipticals are classed from E0 to E7 the larger the number the more Elliptical. The spirals were assigned letters from a to c which characterize the compactness of their spiral arms. Sa spirals, for example, are tightly wound whereas Sc spirals are more loosely wound. Barred Spirals were also assigned letters a to c. The most notable difference between these two groups is the bar of stars that runs through the central bulge in barred spirals. Again SBa means that the spiral arms are tightly wound and SBc means that they're loosely wound. However please keep in mind that this is a General classification and that this is the simplest way to classify galaxies. In reality, there are many other types of galaxies such as Ring galaxies or Peculiar Galaxies. Most of the Information about the galaxies are from my knowledge. I have however I have forgotten about the Tuning fork diagram so I got my information for the Hubble Tuning Fork diagram from https://www.spacetelescope.org/images/heic9902o/.